Battery storage for your surplus solar energy is becoming an effective and affordable option. Our guest speaker for May is Mike Collison, founder of ESP Energy, a company that specialises in renewable energy systems. In his talk, Mike will outline what models of battery storage are on the market and help you understand which would suit your property best. He will also show how battery storage can integrate into your existing system of photovoltaic panels and can be used for charging electric cars. 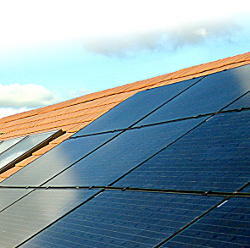 Mike set up ESP Energy in 2010 as a family business installing photovoltaic (PV) panels throughout Shropshire. ESP Energy are now experts in a variety of renewable energy systems from biomass boilers and heat pumps to solar panels and battery storage. ESP Energy design, install and maintain renewable systems all over the UK and their work has been recognised throughout the industry earning them multiple awards. Hydropower is the world's leading renewable energy resource producing around 17% of the world's electricity and 90% of the world's renewable power. Our guest speaker for April is Grenville Ham, the Founder and Managing Director of TGV Hydro, a not-for-profit community owned engineering and construction company that specialises in Micro Hydropower. In his talk, Grenville will explain how micro hydropower works, draw on numerous examples local to Llandrindod Wells and show how a future renewable energy industry is practical in the UK. Grenville Ham is the Founder and Managing Director of TGV Hydro, a not-for-profit community owned engineering and construction company, that specialises in Micro Hydropower. Grenville is considered one of the pioneers of the Welsh renewable energy industry and has picked up numerous personal awards throughout his career including the British Empire Medal for ‘Services to the Renewable Energy of Wales’. TGV Hydro were awarded the Powys Small Business of the Year 2015 alongside several national innovation awards such as NESTA’s £1 million Big Green Challenge and the Ashden Award for Community Energy. 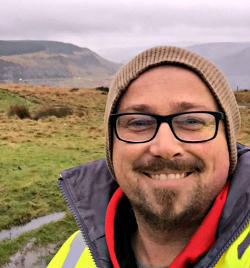 Grenville is a Brecon resident and from the first of April 2017 is the new Leader of the Wales Green Party. Living in the UK today we have more choice in what we eat than ever before in history. So how do we choose what to eat? 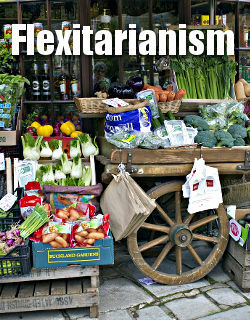 Our guest speaker for March, Alan Fay, will show how a flexitarian diet can be better for your health, better for the environment, and help the local economy with its focus on local, seasonal and organic produce. If you find a vegetarian diet too challenging, Alan's talk will give you some positive reasons for making changes to your diet and provide advice and tips on how to make the change. "The early days are a distant memory, but steak and kidney pudding and stuffed apple dumplings comes to mind. "I began to take the nature of food seriously after college and ventured into vegetarianism although not completely. I still liked my pint! I then leaned towards the direction of wholefoods but still with a vegetarian bias. "Since then with two cookery courses and an MSc in The Environment and Energy behind me I am now on the downward spiral towards the Welsh Diet!! That’s right a failed vegetarian. But why is this? Come along to my talk and find out." A Food Assembly brings together people to buy fresh food directly from local farmers and food makers. It gives power back to local producers, brings communities together and strengthens local economies. Hazel Ings started the Golden Valley Food Assembly in September last year and they already have over 300 members and 11 local producers. 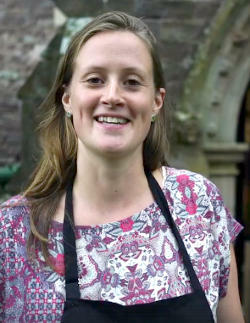 We invite you hear from Hazel how their Food Assembly was set up and the benefits it brings to local producers and members. Hazel Ings grew up on an organic smallholding and always took an interest in where food comes from. Now, as an almost full time mother and home educator, she has a small holding that she runs with her husband. As a parent she cares more than ever about the provenance of her food. Last summer she was introduced to the Food Assembly network and decided almost at once to start one in her local village of Peterchurch in the Golden Valley.